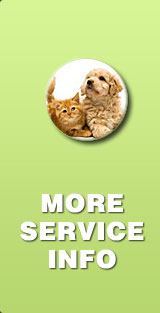 Allergy or other immune system problems are almost always the root initiating cause of ear problems in dogs and cats. 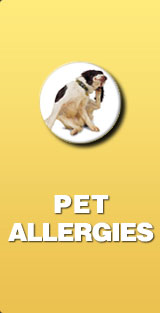 Allergies can cause abnormalities in ear tissue and can result in severe itchiness of the ears, resulting in scratching of the ears by the pet. Autoimmune disorders including pemphigus or lupus can also cause ear disease and can be difficult to differentiate from disease to to allergy. Mite parasites such as ear mites (Otodectes), scabies mites (Sarcoptes), and demodicosis mites (Demodex) can infest the ears. Neoplasia (tumors) including malignant tumors (cancer) can occur in the ears. 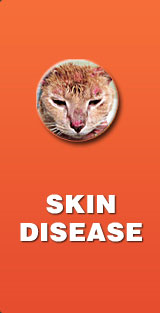 Many other conditions that involve the skin can also have an effect on the skin, sometimes resulting in symptoms of ear disease and/or otitis. Damage to the ears results in heightened susceptibility of the ears to infections and these infections will recur and/or continue unless the allergy is controlled. 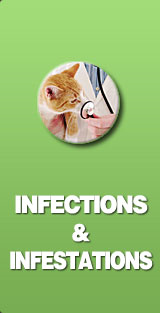 If your pet always seems to have ear infections or if your pet’s ears are always appear dirty due to a dark discharge in the ear canals, your pet almost certainly has an underlying health problem. Sometimes the only sign of the health problem is ear disease. Diagnosing the underlying cause is important to avoid extensive ear disease including middle ear disorders like otitis media. 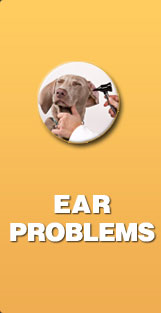 Dr. Byrne has many years of experience in diagnosing and managing the underlying causes of ear problems. Anatomy-deep ear canals and long floppy ears are predisposing causes because they set up a warm and moist environment that bacteria and fungi thrive in. Breed- Some breeds like Cocker Spaniels are commonly affected because of allergies, long floppy ears, and inbreeding. This is a picture of a normal healthy canine ear, in this case a (breed). Beautiful, isn’t it? Notice how easily you can see through the tympanum. 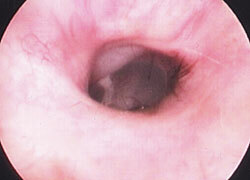 The normal tympanum is translucent and allows view of some of the anatomy of the middle ear. Unfortunately most of our patients do not arrive at our clinic with ears that look this good!